FIDE announced the host cities of the Chess Grand Prix 2008/2009. These bids have had preference in the selection process, as they were submitted earlier than December 31st 2007 with a deposit of 25,000 eur. There are two reserves, Istanbul and Teheran, which will host a tournament in case the above mentioned cannot comply with the FIDE regulations, fund rising, and organization. 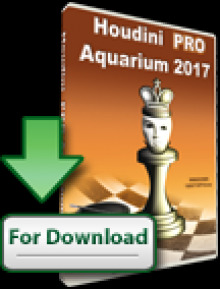 The calendar is well thought and tries not to overlap other major events, such as the Mtel Masters 2008, Kramnik – Anand match, or Kamsky – Topalov. Each Tournament will be a 14 player round robin. 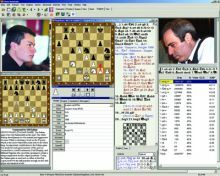 The winner of the Chess Grand Prix series at the end of 2009 will play the winner of the World Cup held in 2009 in an eight game match to become the challenger to the World Champion in a match to be held in the third quarter of 2010. Should the overall winner of the Chess Grand Prix also be the World Champion at the end of the Grand Prix series in 2009, then the Challenger rights will go to the second placed overall in the Chess Grand Prix. Should the second placed player in the Chess Grand Prix also be the winner of the World Cup 2009, then the Challenger rights emanating from the Grand Prix will go to the third placed overall in the Chess Grand Prix series. Peter Svidler (RUS 2763), Shakhriyar Mamedyarov (AZE 2760), Peter Leko (HUN 2753), Vassily Ivanchuk (UKR 2751), Levon Aronian (ARM 2739), Boris Gelfand (ISR 2737), Teimour Radjabov (AZE 2735), Magnus Carlsen (NOR 2733), Michael Adams (ENG 2726), Gata Kamsky (USA 2726), Dmitry Jakovenko (RUS 2720), Ivan Cheparinov (BUL 2713), Alexander Grischuk (RUS 2711), Etienne Bacrot (FRA 2700), Wang Yue (CHN 2698), Ernesto Inarkiev (RUS 2681), David Navara (CZE 2680), Vugar Gashimov (AZE 2665), Yannick Pelletier (SWZ 2600) and Mohamad Al Modiahki (QTR 2569). For the first cycle of 2008/9, all players in the World Championship (ie. Kramnik or Anand) and Challenger matches (Topalov or the World Cup 2007 winner) will be invited to participate in the Grand Prix from the outset. The FIDE World Cup in Khanty Mansiysk 2007 will be used to determine three qualifiers for the 2008/9 Grand Prix Series. Excluding the winner, these will be the players who have qualified to the semi final stages of the World Cup. Based on an average calculation to two decimal places, of the January 2007 rating list and the October 2007 rating list in the year prior to start of the cycle, seven qualifiers will be selected (excluding the four players who will be playing the matches as defined in Article 2.1). If players have the same average rating, the number of games played between January 2007 and September 2007 (rating period) will be used to determine ranking. If any player, qualified by rating, does not accept to play in the Grand Prix series, then the selection process using the average rating (Oct-07 and Jan-07 to two decimal places) plus number of games played in the rating period (Jan-07 + Apr-07 + Jul-07 + Oct-07) will be adopted to identify reserves, until the number of qualifiers required for the Grand Prix is completed. 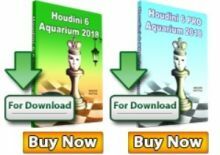 The FIDE President may nominate one player and he/she must be rated among the top 40 players in the world as per the October 2007 rating list. If the President has more than one nominee as a result of players qualified under 3.1 declining to play , then the players nominated by the President should be from different countries. One players may be nominated by each host city and must be rated not less than 2550 in the last rating list prior to the final nomination or selection of players. If the host city does not have a player rated at least 2550 then the highest rated player from the Federation of the host city will be invited to play, subject to his rating not being lower than 2500. * Applying the rule of 50 moves (the player writes his move on his scoresheet, and declares to the arbiter his intention to make this move which shall result in the last 50 moves having been made by each player without the movement of any pawn and without any capture, or the last 50 consecutive moves have been made by each player without the movement of any pawn and without any capture). The FIDE regulations for the Chess Grand Prix state, “The players shall shake hands (or shall greet each other in a normal social manner in accordance with the conventional rules of their society) before the start and after the end of each game. If a player fails to meet these requirements and after being asked to do so by the Chief Arbiter, then he will lose the game immediately.” An interesting step by FIDE which refers to the recent incidents at Corus. With this statement FIDE leaves an open door for both parties in such a conflict. “Shall shake hands” is definitely not “must shake hands”. Furthermore, “greet each other in a normal social manner” very much depends on the society itself, and the social manners differ from country to country. It is very probable that the statement is just a confirmation of the fact that the “shake hand rule” does not exist, but at the same time it could be an indication that it will be discussed at the next PB meeting. Every tournament has individual pointing system, as presented in the table below. In the case of any tie in any tournament, the Grand Prix ranking points and prize money will be split equally. The overall winner of the Grand Prix will be the one who will score the most number of cumulative points. The cumulative score will be calculated from the best three results for each player. The winner of the Grand prix agrees to play a match against the winner of the Chess World Cup as per FIDE regulations in October 2010. The winner of the Grand prix agrees to play a match against the winner of the World Cup as per FIDE regulations in October 2010. He will also receive the N1 prize of 75,000 eur from the accumulated prize fund of 300 000 eur. Here are the prizes at the end of the series. These above are the most important parts of the Chess Grand Prix regulations. There will be additional details at every tournament. Stay tuned for updates.